Each acquired physician practice introduces another after hours answering service. PerfectServe can reduce expenditures while streamlining communication and ensuring HIPAA compliance. As healthcare consolidation continues, hospitals and health systems are also acquiring their associated third-party services. These purchased services represent an untapped opportunity to eliminate variable costs and hidden fees that make budgeting a challenge. While third-party services are crucial to the operations of any hospital or health system, purchased services are not always top of mind when it comes to evaluating costs and budget. Left unchecked, these monthly fees can begin to erode profitability. After hours answering services can represent an untapped source of savings through consolidation and elimination of hidden fees. These purchased services also present opportunities for standardization of processes and technology by replacing multiple third-party providers with an enterprise-level communication platform. A single communication solution can also save valuable time, as staff aren’t forced to use different processes to connect with various provider groups throughout the course of their day. And with powerful features such as secure voice messaging and texting, intelligent workflow routing, alerts, alarms and scheduling software integration, care teams can collaborate like never before. Purchased services may represent nearly a quarter of annual spend. 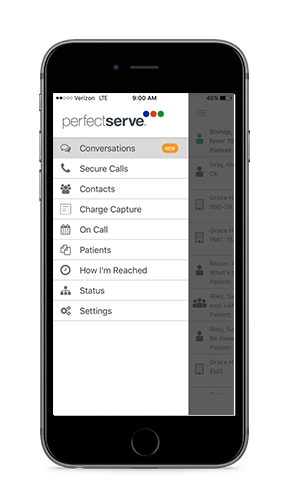 PerfectServe is a suite of clinical communication and collaboration (CC&C) solutions which can replace your current communication-related purchased services, while saving money and ensuring HIPAA-compliance. It’s time to eliminate tedious and frustrating communication processes. Our easy-to-use platform is designed to facilitate simple, secure, fast and accurate communication, helping clinicians focus on patient care. Fill out the form below to connect with one of our clinical communication experts.